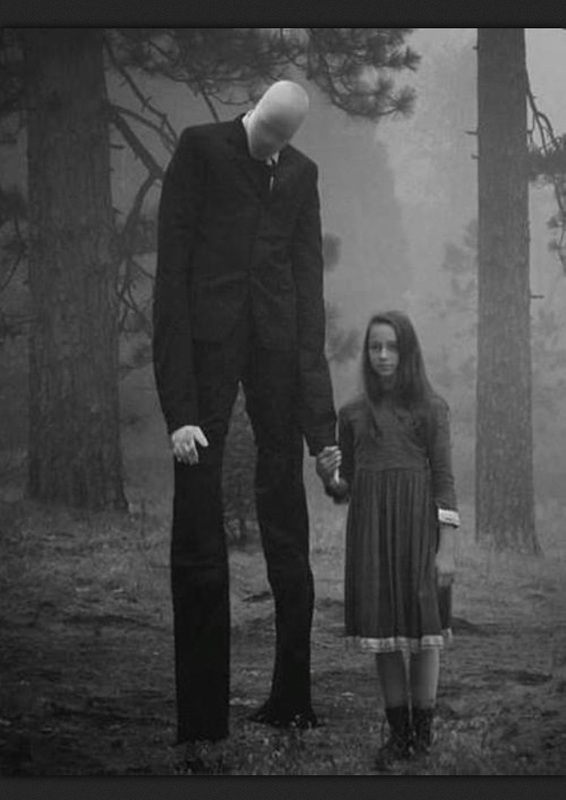 What is a “Slenderman” Anyway? Posted on June 6, 2014 December 25, 2018 by Marty Schoenleber, Jr.
My son-in-law, Dan is godly man raising a family, working as an engineer and serving as a volunteer youth leader at a Free Church in Bolingbrook, IL. He is also a gifted writer looking to make his life count for the King of Kings. When the horrors of the “Slenderman story out of Wisconsin” hit the news, Dan felt it was appropriate to help the parents of his church deal with the repercussions in a godly way. His pastor, Frank Taylor thought it was worth standing behind and posted it to a wider network. I asked Dan If I could post it as a guest post on my Blog and Dan said yes. Here it is. Thank God for young men like Dan that God is raising up to serve the King. Dan Aldrin here, youth leader, with a word on some recent news. The media has been fast to answer, as is their custom. The reason: Slenderman. This brings me to my role as a youth teacher. I’ve talked with your kids about all kinds of stuff. Kids say crazy things, especially when they think nobody is listening. So I can say that your kids know who Slenderman is, and many have played the games, or watched them played. 100% sure, boys, girls, home-schooled, public schooled, they know. The good news, I’m reasonably certain that none of them will kill anyone. Why? Because I know something the press won’t talk about. I know that those two girls who stabbed that girl did not have a Slenderman problem, they had a worship problem. I don’t know their story, and I don’t know their hearts, but for whatever reason, these girls decided that they were going to worship something that was not God Almighty. Instead, they chose to worship a created thing. The result of worship is always that we come to resemble that which we bow to. It does not take much foresight to see that when two girls (blurring the lines between reality and fiction) worshiped the alluring villain of online horror fiction, they would become something horrific. And sadly, they did. God is not done with them, and our prayers should keep that in mind. So, what ought parents do? Well, we could purge our entire lives of Slenderman. It’s totally an open option, and if you feel this is the best way to guide your children, do it. But whatever you do, don’t forget to address the core issues. We know what is real and we know what is fake…if we use discernment. Walk with your kids through decisions and hear their reasons. It’s the best way to teach critical thinking and see how they process the world around them. Watch what your kids worship. Just because your kid turns into a baseball monster and not an actual one does not mean they don’t have misplaced worship. We only worship God, because He’s the only one worthy of it. And we become more like him. If we worship anything else (even if it is culturally approved) we become monsters. Worship matters. Thanks for reading. I’m not good at being brief. P.S. The block building video game Minecraft also has a creature in it called “Enderman”. It is functionally unrelated, no worries. This is really good! Thanks, Dan!